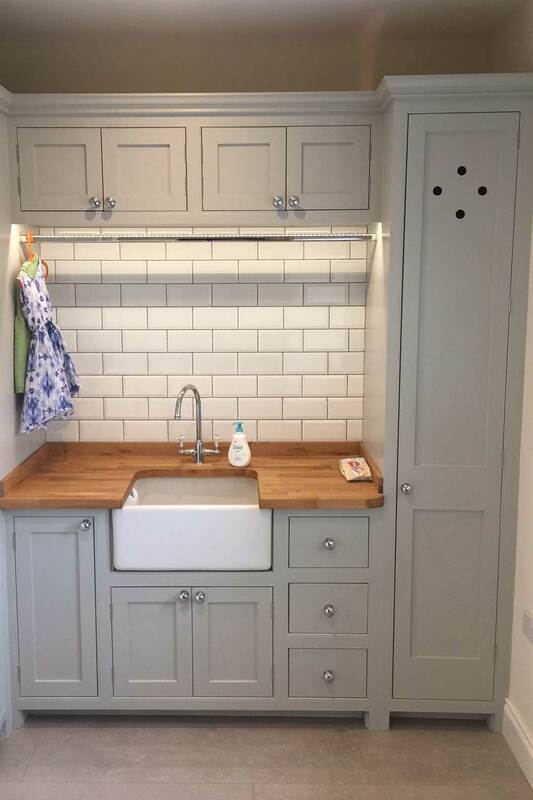 We have some great Utility Room solutions! 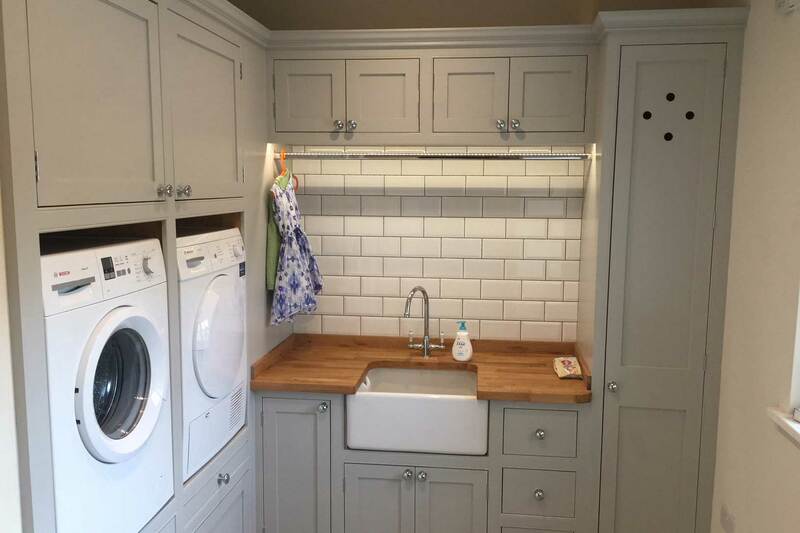 A well thought out utility room frees the main kitchen from laundry and storage. 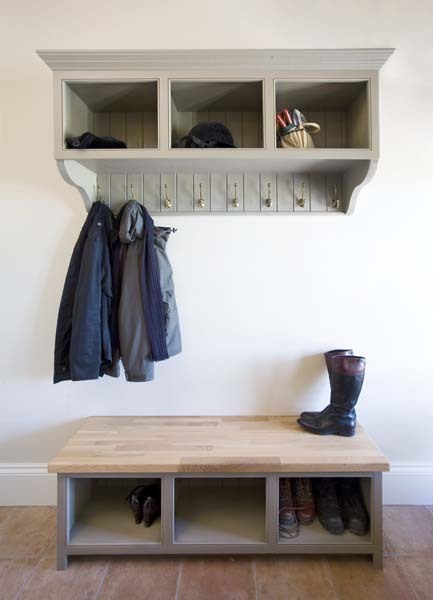 The utility room is very handy for storage of cleaning materials, ironing boards, coats & boots. 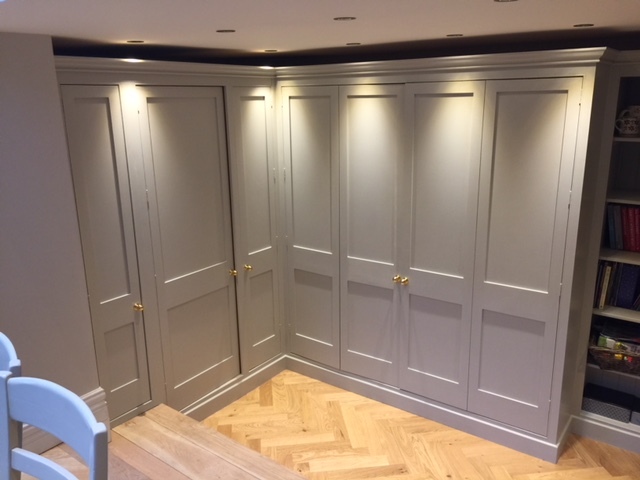 All of our work is handmade in solid wood. 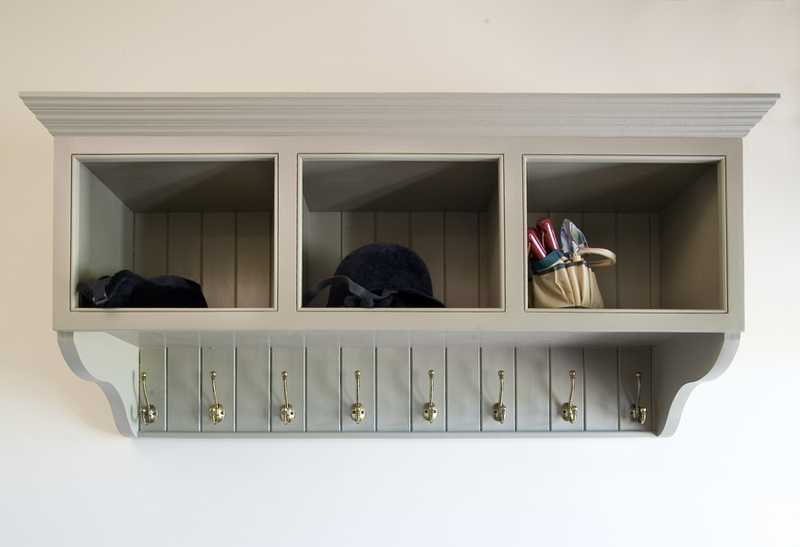 Our bespoke Utility Rooms will keep your house organized & running for a lifetime. 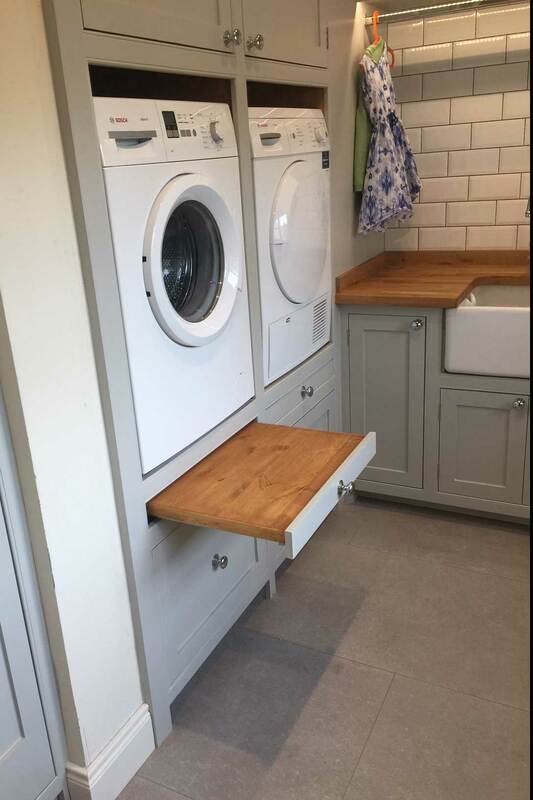 Is it a space and connections for a washing machine and dryer? Can you fit an ironing space? Can time and work be saved through the installing a laundry chute from the first floor? You will free up space in your kitchen by having a fridge, prep sink, worktops and dry food storage. Then, you can consider where you’d like your utility room to be. You won’t want a utility space spoiling a view to the garden, for instance, but you might like it to have an entrance to your garden, which means your utility will need to be on an external wall. It makes sense to have your utility as close to the kitchen as possible, as it is more convenient and less expensive for the utilities to be connected, but there is no hard and fast rule. 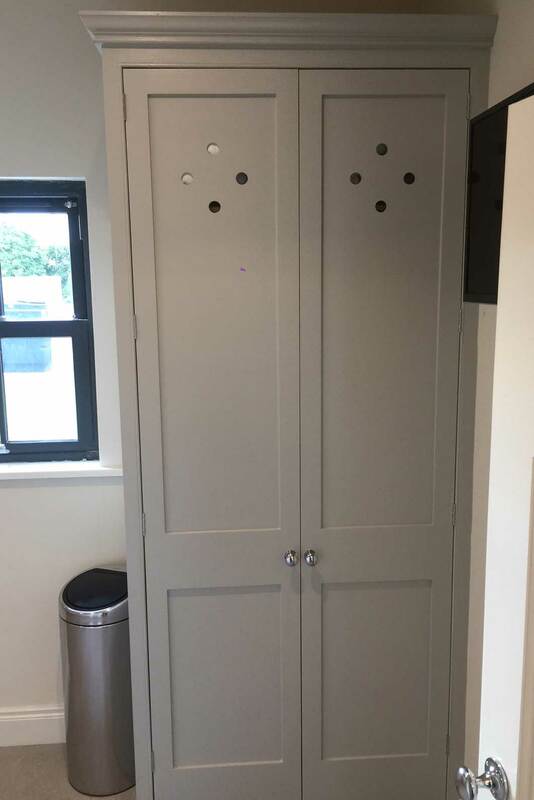 What features should be in a utility room? 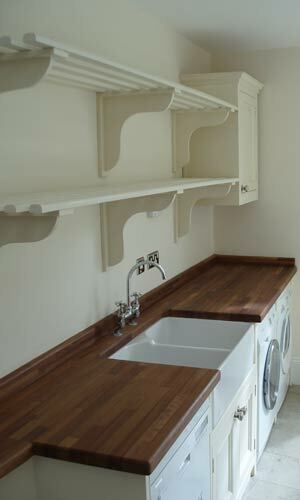 What you choose to include in your utility room is essentially down to how you want to use the space. 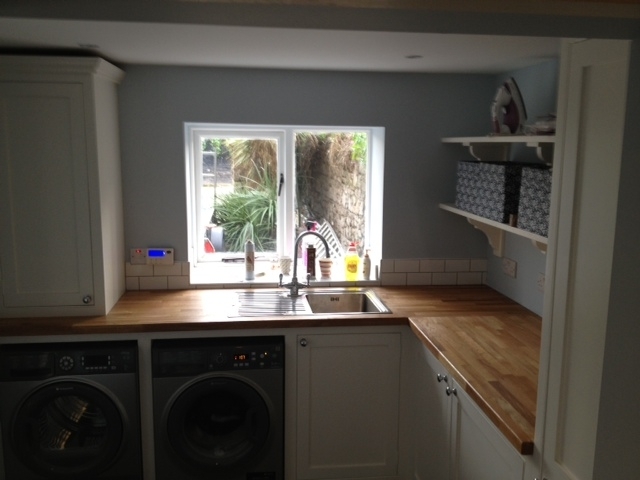 You could also relocate your small appliances, like the toaster, kettle and anything else that eats up worktop space. 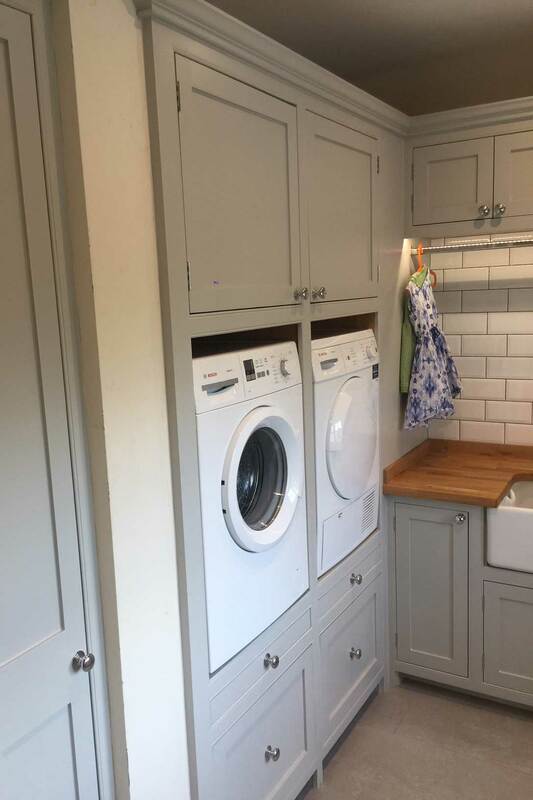 Save room with a washer/dryer or stack your tumble dryer over your washing machine. A deep sink will be useful for soaking clothes and washing muddy boots and pets. 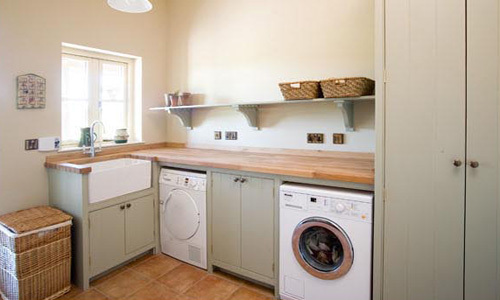 Underfloor heating will help dry your washing without taking up wall space. Utility spaces should be uncluttered, functional rooms, with easy-to-clean worktops and as much storage space as is possible. 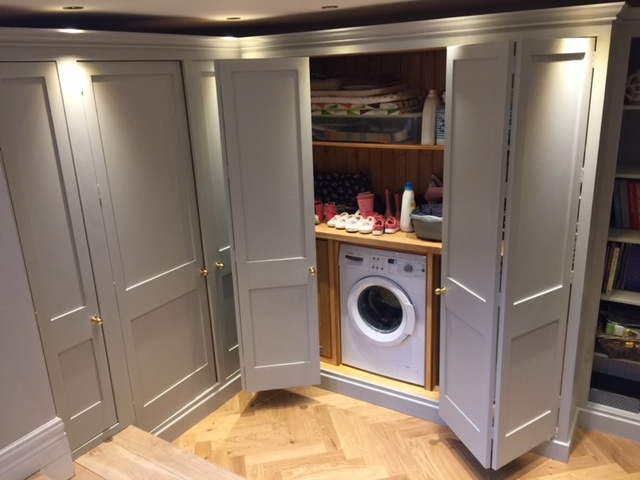 If there is enough space, a spot for ironing, an open cupboard with hanging space, and shelves for freshly laundered clothes, are all very useful. For more information get in touch with us - we would be delighted to answer any questions you have regarding our work.